Let's be honest. Some emotions are just more fun than others. Sadness is too gloomy. Anger and Disgust need to chill out and Fear, well, that guy is kind of a mess. This Deluxe Adult Inside Out Joy Costume turns you into the funnest emotion out there and it comes straight from the Disney Pixar movie! Joy is a pretty tough concept to personify, but leave it to Disney and Pixar to do just that (with a little help from Amy Poehler). 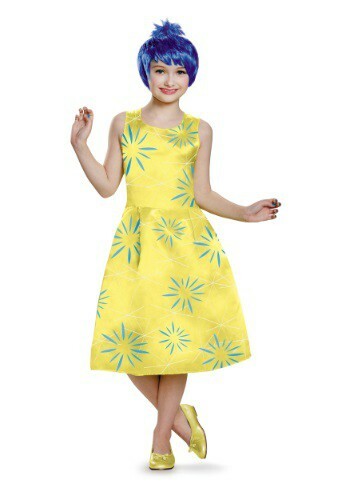 If your little girl just loves to smile, laugh, and always has a positive attitude, you might just have a little Joy on your hands, and we think this classic Inside Out costume is perfect for her. She can go on all kinds of imaginary adventures through the many interesting places located in the brain, ride on the "train of thought," and assist in bringing happiness to everyone around her, just like the real character from the film. One thing is for sure, Sadness won't be in sight! As parents of teens know, sometimes adolescent emotions can seem to take on a life of their own. But what if they REALLY came to life? The movie Inside Out explores that question. 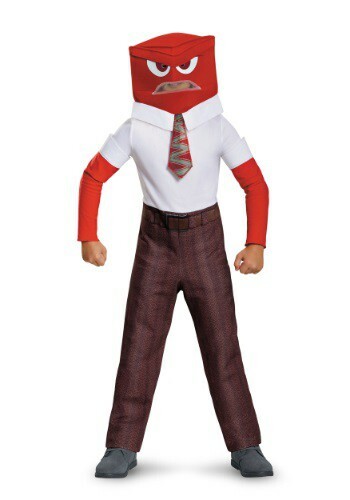 With this Inside Out Anger Classic Boys Costume, you can enact a drama of the mind. Which emotion will win out? We'll have to wait and see! "Do you ever look at someone and wonder what is going on inside their head?" 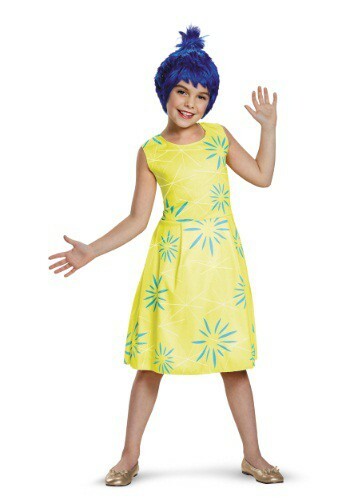 Well, your girl will know when you dress her up in this Inside Out Joy Deluxe Girls Costume. 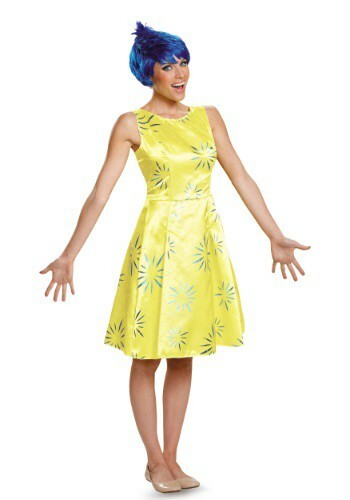 The bright colored dress is based on the one worn by Joy in the movie, so your girl should have no problems making some happy yellow memories this year.